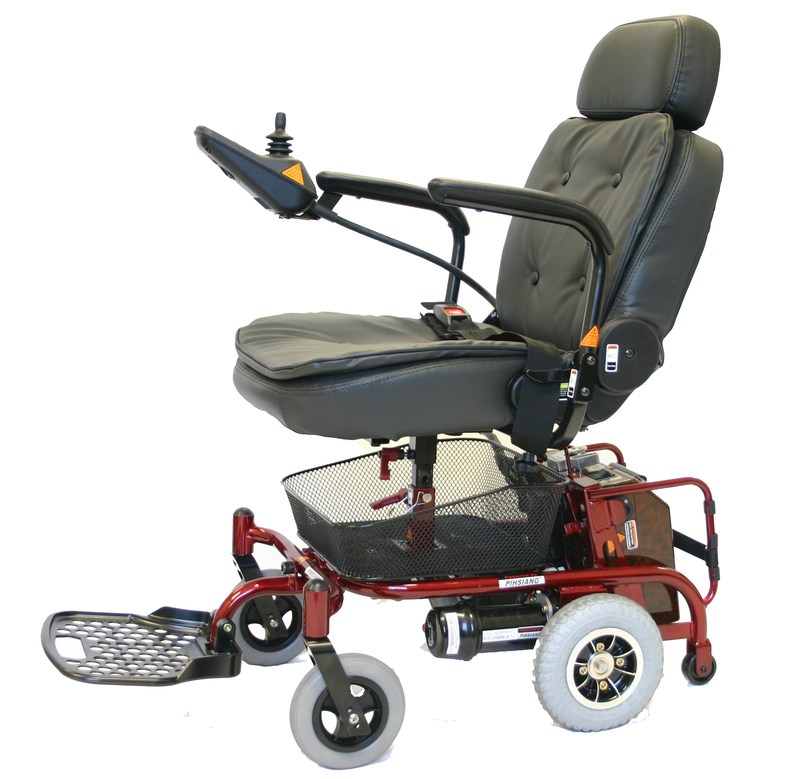 The New Xtralite Jiffy - The Ultimate in transportable power chairs! With its compact design and incredible turning radius the Jiffy is great in small spaces, but the biggest plus is the light weight of this unit making it a breeze to transport in even the smallest vehicles with the heaviest piece weighing only 43 lbs. The Jiffy is also loaded with great features that you will not find in most small transportable power chairs such as a semi reclining seat, under-seat wire mesh basket, seat belt and an 18" wide contoured seat with a pillow top cushion and an adjustable, removable headrest. The Jiffy disassembles easily in seconds with no tools into three light weight pieces. 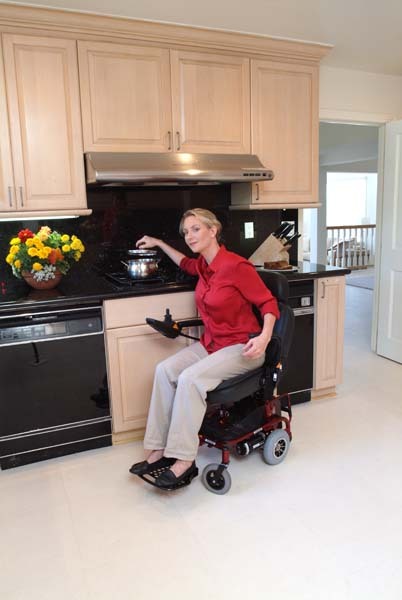 All of these features combined with a very affordable price make the Jiffy a great choice in a transportable power chair. Easy three-part breakdown to get you on the go! The Jiffy breaks down into 3 pieces in seconds with no tools. Simply remove the seat by lifting it straight up, disconnect and remove the battery pack with the quick release plug, fold up the foot plate and place each piece easily into the trunk of even the smallest of vehicles. Battery Pack - 22 lbs. Transportable - heaviest piece only 43 lbs.! Under seat wire mesh basket is standard. Luxurious pillow top leatherette 18" wide seat comes standard with head rest, seat belt and semi-recline feature.